It's no surprise to see Gregg Allman's fantastic Low Country Blues at #1 with RMR and #2 at Blues Mobile. I've been listening to it since it's release earlier this month and it's a wonderful record and I'll be sharing more of my thoughts on it in the coming days. It's not a surprise blues fans around the US are digging this one at all. 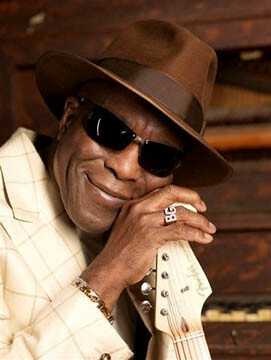 The Roots Music Report has Allman followed by Eden Brent, Buddy Guy, Roomful of Blues, and Ronnie Earl. I just picked up the recently released Roomful of Blues album and hope to be getting to that in due time. I'm thrilled with the other four albums in the top five. I've spent a lot of time with each of them and I dearly love them all. I'm particularly happy for Ronnie's record because it's one of the most special and amazing things I've heard in the past five years, maybe more. If we lined up every guitarist on the planet and held a "one man, one note" competition, he just might win. Just a couple thoughts about what we have here that is different from what you see above. I hate that Eden's record is getting the same traction with some of these stations because it is a classy, classic blues album. Programmers: get to bigger steppin'! I am glad to see JJ Grey's Georgia Warhorse still getting some heavy spins. They were recording a live DVD in Atlanta last weekend and I'm truly emo that I couldn't get over there to be a part of that action.